Blue Light is a part of the visible light spectrum, between 400 nm and 500 nm; making it one of the shortest, highest-energy wavelengths. Digital devices and LED lights emit blue light from about 430 nm to 500 nm with an intense spike at ~ 455 nm. Our indoor lifestyle now revolves around digital devices and artificial lights, bathing us in blue light. Thanks to modern technology, it's easy to exceed healthy levels of blue light, especially at night. The sun is primary source of harmful UV light and intense blue light that decreases visual clarity and can potentially harm your retina. 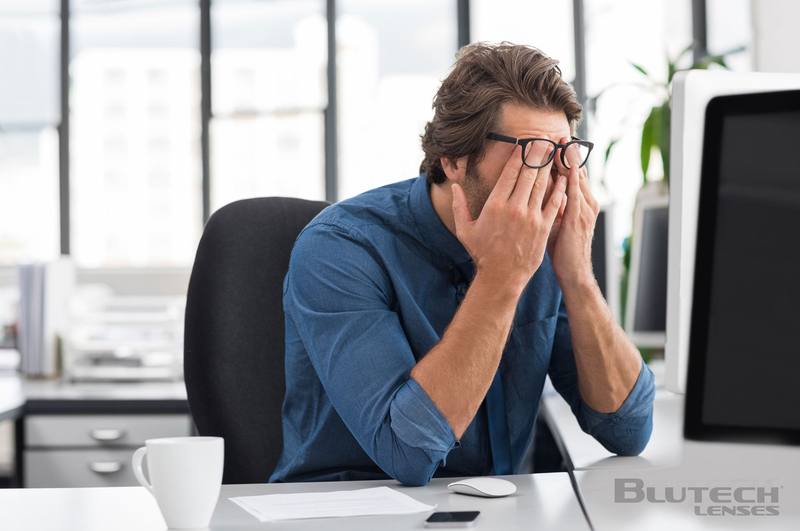 Artificial blue light from screens and energy-efficient lighting disrupts your biological clock and causes digital eye strain— negatively impacting sleep, health, and productivity. BluTech lenses reduce your exposure to blue light, helping you live healthier and happier. 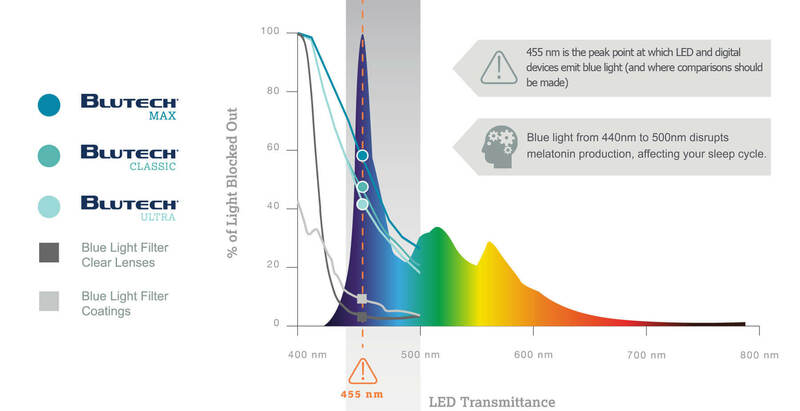 Blue light from 450 nm to 500 nm disrupts melatonin production, affecting your sleep cycle.